This season, Nirmala Nehare was thrown to the wolves. Not only did the climate fail Nirmala, a cotton farmer in Wardha, but the state government has also let her down. She was compelled to sell her meagre crop at lower prices to trader-moneylenders because the state refuses to pay farmers the full amount immediately while procuring cotton. This has meant further losses for peasants like Nirmala, already on the brink of bankruptcy. After insufficient rain and a vicious pest attack on her crop, Nirmala’s family got only eight quintals of cotton, a fourth of what they normally harvest from their seven acres. They decided to give it to the moneylender at a lower price – Rs 1,800 per quintal- instead of selling it to the cotton federation at Rs 2,175. “Our hands are tied. We had to sell it to the trader. The government would pay in four instalments. Right now, they give only Rs 1,400 per quintal, while the rest of the Rs 2,175 will be paid next August. We can’t wait. Interest keeps accumulating at Rs 1,000 every month for the Rs 10,000 we borrowed,” says Nirmala from Dhamangaon village in Wardha. Although she couldn’t sell her crop to the Maharashtra Cotton Federation this year, Nirmala still feels that the Monopoly Cotton Procurement Scheme (MCPS) offers her some security. “Without it, we would be completely at the mercy of the middlemen. They would lower the prices even further. At least now, they cannot offer much less than the state’s guaranteed price,” she says. Maharashtra’s unique MCPS still seems to be serving its purpose — to protect cotton farmers from being cheated by traders and to ensure them a fair price for their crop by eliminating middlemen. This despite the state’s failure to pay farmers properly this year due to financial problems. Started in 1972, the scheme had been making profits and distributing 75 per cent of this surplus to cotton farmers until 1995. Then, international cotton prices started crashing and the scheme has run into accumulated losses of Rs 2,795 crores. Interest on this liability is Rs 1.35 crore per day. This year, for the first time, the RBI delayed sanctioning the full amount of the Rs 1,700 crore loan required by the state cotton federation to procure this year’s harvest. So far, it has sanctioned only Rs 900 crore. A broke Democratic Front government said it would pay only 80 per cent of the central government’s support price for cotton (which is approximately Rs 1,875 per quintal, but depends on the quality of cotton). The balance of the price guaranteed by the state (averaging Rs 2,175 per quintal) is to be paid in three instalments. The opposition was quick to take advantage. It created a ruckus for several days during the assembly session held last month in Nagpur, the heart of Maharashtra’s cotton-growing Vidarbha region. Allying with Shetkari Sanghatana leader Sharad Joshi, who led a rail roko agitation, the BJP demanded that farmers be paid the full support price and the balance of the state guaranteed price later. Ironically, at various points in time, both the free-market proponent Joshi and the trader-funded BJP have demanded the scrapping of the scheme. The Democratic Front government caved in and offered a meek 90 per cent, which Joshi easily relented to and withdrew his agitation. Ever since it was introduced, a motley group of traders, bureaucrats, politicians and activists have been demanding the death of Maharashtra’s MCPS, the only one of its kind in the country. But 30 years later, the scheme is still surviving. While many would attribute that to ‘vote bank’ politics, the simple fact remains that the scheme is a major reason why Maharashtra’s 30 lakh cotton farmers have managed to stay afloat. With globalisation heightening the agricultural crisis in the country, farmers’ profitability has been severely eroded. Production costs have multiplied in the last decade due to cuts in input subsidies. Rural credit and infrastructure investment has shrunk. Bank loans account for only 11.7 per cent of agricultural credit, leaving cultivators at the mercy of moneylenders. Farmers have also been squeezed by the fall in market prices due to imports and price collapses in the international commodity markets. “If the procurement scheme was scrapped, we would all sink. The traders would have a monopoly, like they do for all other crops,” says Rajendra Lone from Jamta village in Wardha. “This year, many people have had to sell to traders because it has been a bad harvest and the government is not paying the full amount immediately. Also, some don’t want the government to deduct their bank loans from the payment. They need money in hand. Otherwise, how will they run their homes?” he says. Cotton farmers, not only in Maharashtra but also in AP and Punjab, have been worst hit by the farm crisis. 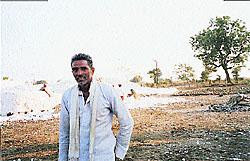 In 1997-98, a severe pest attack destroyed the crop in Vidarbha, leading to a spate of more than 80 suicides. Several thousands of suicides have been reported in AP and Punjab’s cotton belts as well. The suicides continue. 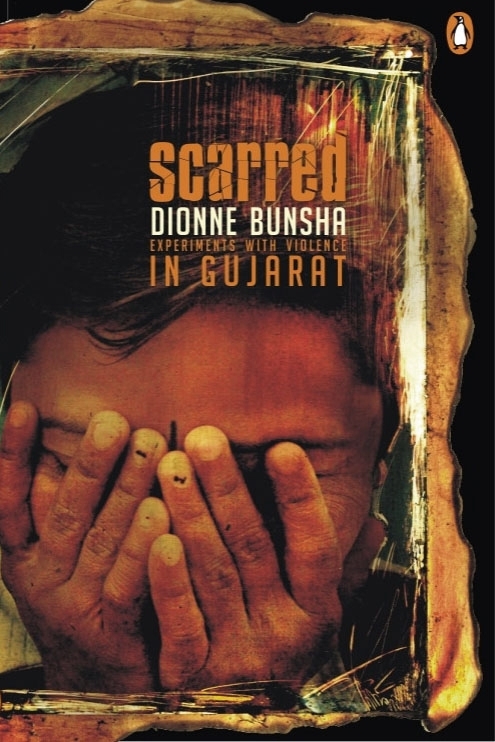 A local newspaper reported 35 suicides in Vidarbha from April to November 2001. Even though many left suicide notes and died by swallowing pesticide or jumping into a well, the government still tries hard to cover up the cause of the deaths citing personal or psychological problems. “All of us – rich and poor farmers alike- are in poverty, facing the same hardships. It’s just that some choose to end their misery by taking poison. Even large landowners are trying to sell off their land. But there are no takers,” says Punjaram More from Mahakal village in Wardha. Explaining his declining profitability, Rajendra Lone says production costs for his 15-acre plot were Rs 5,000 per acre. But banks provide only Rs 1,500 per acre as crop loans. The rest of the cost has to be met by borrowing from moneylenders at exorbitant rates of interest varying from 60 to 120 per cent per year. “How are we to manage? Costs keep rising, but the prices have fallen by half for most crops. At least cotton prices offered by the government have been steady over the last five years,” he says. Although the scheme is the only assurance farmers have of a fair price, there are many who think it should be scrapped. Some arguments are purely financial — to contain losses. “Maharashtra’s guaranteed price is Rs 425 above the central support price. 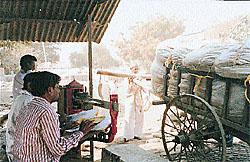 Moreover, since international prices have fallen by half since 1995, we are now selling the procured cotton at around Rs 1,500 per quintal, a 25 per cent loss,” says Sunil Porwal, chairperson of the Maharashtra State Co-operative Cotton Growers’ Marketing Federation, the government agency that procures the cotton. He feels that losses would be minimised if the monopoly element of the scheme was withdrawn and the state’s guaranteed price was reduced to central support price levels. However, proponents of the scheme like secretary of the Peasants and Workers Party, N.D. Patil, argues that the government cannot abandon its responsibility to farmers. “If the monopoly element was removed, the losses would increase. 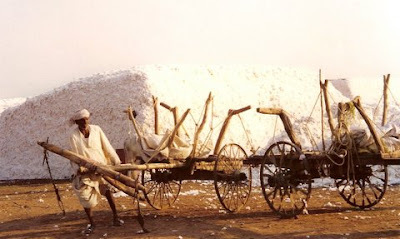 Traders would buy only the best quality cotton in the market, leaving the rest to the government, while the overheads of running the federation would continue. This is an indirect tactic to close down the scheme. Since no political party has the courage to do it outright, they will just make its implementation impossible,” he says. The scheme is the only form of social security for the state’s cotton farmers who produce 20 per cent of India’s cotton, Patil asserts. “Around 97 per cent of cotton in the state is dryland cotton. Totally dependent on nature, cultivation is a gamble for them. This is their only protection,” he says. The problem is not with the scheme but with India’s trade and agriculture policy, says Kisan Sanghatana leader Vijay Jawandhia. “Indian farmers have not been adequately protected as compared to those in developed countries,” he says. Domestic prices of cotton have fallen because of a low import tariff of only 5 per cent on cotton as compared to 60 per cent for sugar, which is backed by a much stronger political lobby, Jawandia points out. The textile industry lobby is also resisting any rise in import duty of cotton. “They are buying foreign cotton although there are sufficient domestic stocks, claiming that otherwise their industry will collapse. But why should millions of farmers be squeezed so that the textile industry can run smoothly?” he asks. Deriding the free trade argument, Jawandhia points out no such thing exists. International commodity prices have fallen because rich countries like the US, EU and Japan continue to protect their agriculture by heavy subsidies to farmers and imposing high import tariffs. For instance, Japan has a 1,000 per cent tariff on rice imports. Each farmer in the US got a subsidy of $29,000 per year in 1995, 100 times more than what an average Philippine resident earns in a year. Production subsidies account for 66 per cent of producer prices in Japan, 49 per cent in EU countries and 30 per cent in the US. Although India is allowed, under the WTO agreement, to put up import duties ranging from 100 to 300% on agricultural goods, it has chosen not to protect its farmers. While farmers struggle to keep their head above water, whether Indian agriculture sinks or not finally depends on what policies the government chooses to adopt. Only by turning the tide on liberalisation can the government prevent small farmers like Nirmala from being left to brave the winds alone.